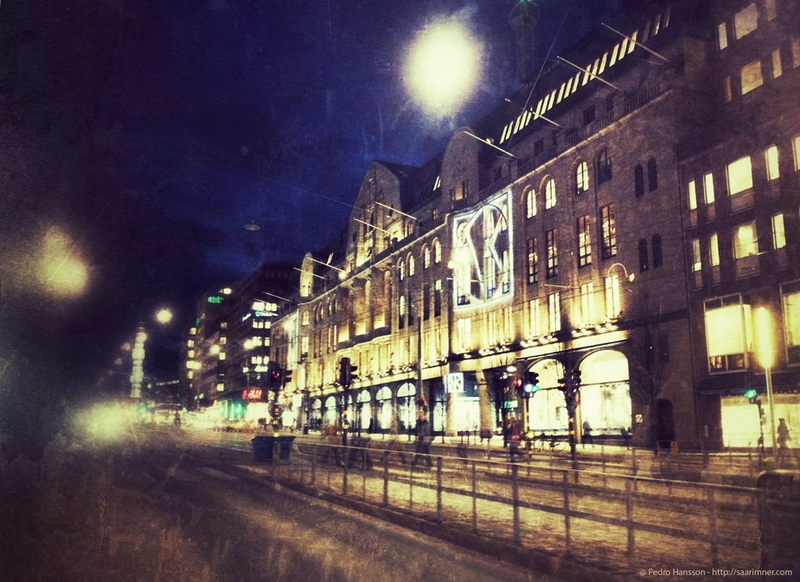 This is a photography of NK, a store in the middle of Stockholm. I normally don’t like too heavy usage of filtering, but I think it worked pretty ok in this photo. The photo is taken with Pro HDR for getting both the “motion-effext of people walking” as well as more depth in over- underexpsed areas, and edited with Snapseed and Phototoaster for the more artistic feeling. Love the texture and the scratch on the photo! 😀 You’ve made the image so mysterious! Happy April’s Fool!